Gov. Sam Brownback speaks to reporters earlier this year during a press conference. Kansas Republican Gov. Sam Brownback is hoping the federal government can rescue several critical infrastructure projects that the state can no longer afford. $50 million to replace a section of the Lewis & Clark Viaduct that carries I-70 across the Kansas River between Kanas City, Kan. and Kansas City, Mo. $91 million to build an I-235 interchange in Wichita. $45 million to reconstruct nine miles of I-70 in Gove County. $54 million to reconstruct 10 miles of I-70 in Thomas County. The list, which Melika Willoughby, Brownback’s communications director, says the Trump administration requested, also includes the second phase of the John Redmond Reservoir dredging project and some streambank stabilization projects. Several media outlets recently reported that National Governor’s Association was helping to compile a list of “priority projects” for an infrastructure package of about $150 billion. According to those reports, the administration will prioritize projects based on their potential to create jobs, improve public safety or enhance national security. Willoughby says the I-235 project “will bolster the aviation manufacturing industry in Wichita.” And, she says, replacing the aging Lewis & Clark Viaduct is necessary to “restore” a “crucial corridor” in the Kansas City metropolitan area. The Trump team also wants projects that are shovel-ready, or close to it. The Kansas road and bridge projects are. 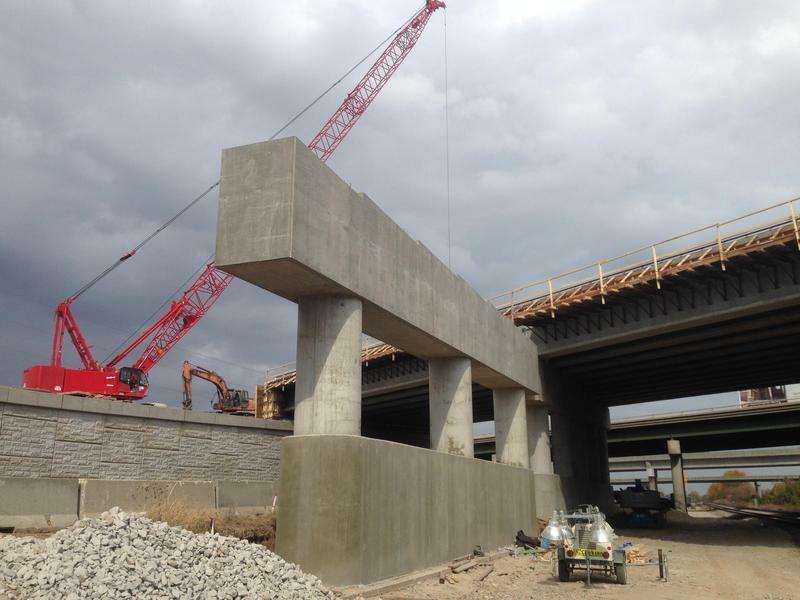 They were on this year’s construction schedule until the state’s budget problems forced the Kansas Department of Transportation to delay them along with dozens of other projects to cut costs. Brownback and lawmakers, Totten says, have swept $2.7 billion from KDOT, crippling the agency’s ability to complete T-Works, a 10-year, $8 billion transportation program approved in 2010. 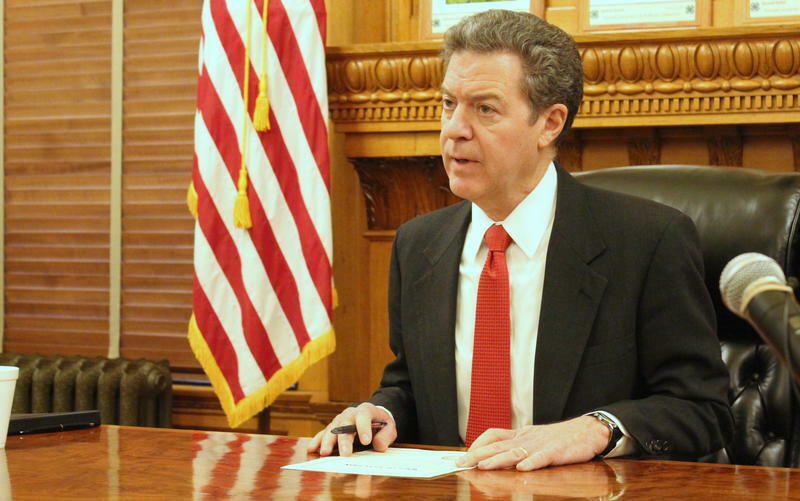 Brownback is proposing to take another $600 million over the next two budget years. Jim McLean is managing director of KMUW's Kansas News Service, a collaboration of KMUW, Kansas Public Radio and KCUR covering health, education and politics in Kansas. Sam Zeff covers education for KCUR and the Kansas News Service and is co-host of the political podcast Statehouse Blend Kansas. In what could be a blow to the road construction industry in Kansas, the Kansas Department of Transportation (KDOT) on Tuesday said it will only spend $44 million on new projects in the next fiscal year. For the past several years KDOT has let about $400 million just on preservation projects, including roads and bridges. Ten more road projects in Kansas have been postponed indefinitely. That’s in addition to the 24 that were put on hold last month. “Yesterday we were informed that the 18 projects that were scheduled to be let in January, KDOT has reduced that down to eight,” says Bob Totten with the Kansas Contractors Association.